Tom Cruise is one of Hollywood’s biggest stars: he has been nominated for three Academy Awards and has won three Golden Globe Awards. 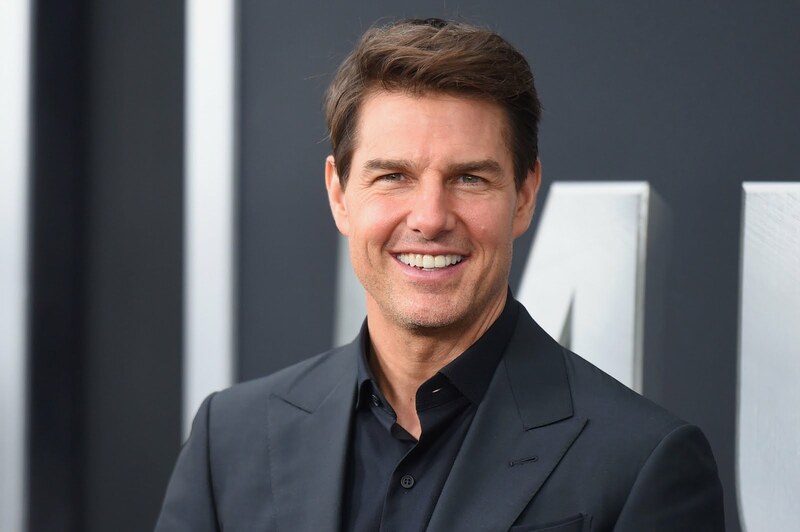 Cruise began his career at age 19, appearing in Endless Love, and has gone on to star in hit after hit, including Top Gun, the Mission: Impossible series, and Jerry Maguire. He is also made headlines off screen for his marriages to Nicole Kidman and Katie Holmes. To date, Cruise has starred in over 46 movies, and shows no signs of slowing down. Below are 10 Thrilling Facts about Tom Cruise. Tom Cruise is of Irish, German, and English ancestry. His Irish heritage dates back 840 years; there are knights, barons, and rebels in the Cruise family tree. Even so, his Irish accent in the film Far and Away has appeared on several Worst Accents in Films lists. Tom Cruise was raised in a devout Catholic home, and he seriously considered being a priest. At age 14, he attended a Franciscan seminary in Cincinnati on scholarship but decided to pursue acting instead. Cruise didn’t have the best home life: his father was abusive, and constantly uprooted the family while he looked for work. As a result, Cruise was always starting over as the new kid. Cruise was also small for his age, and other children pushed him around. The star to-be eventually learned how to stand up for himself, drawing inspiration and strength from his mother. Cruise has visited Japan so many times that the country awarded him with his very own “Tom Cruise Day,” celebrated in Japan on October 10th. A knee injury may be to thank for Cruise’s decision to go into acting. Cruise was forced to leave his school’s wrestling team after suffering from a knee injury, and discovered acting with his new-found free time. Cruise damaged his front teeth playing hockey as a kid, and was so insecure about his teeth that he avoided photo shoots. In 2002, he got adult braces to fix his smile. He wore them for several months, and removed them only to shoot movies. He has also reportedly had various cosmetic dentistry procedures to fix his smile. Tom Cruise and Emilio Estevez were friends prior to filming The Outsiders, and they showed up to audition for the film together. Estevez was also Cruise’s best man in his first wedding to Mimi Rogers. Tom Cruise has been married three times, and he split from each of those wives—Mimi Rogers, Nicole Kidman, and Katie Holmes—when they turned 33. At age 10, Tom Cruise spent his savings on a motorcycle, which he fixed up before promptly crashing it between two cars. The bike was a Yamaha, and he stored in his basement while he worked on it.